Nino Wood Tambourine 1 Row Natural 8 in. A durable tambourine with a single row of nickel silver-plated steel jingles. 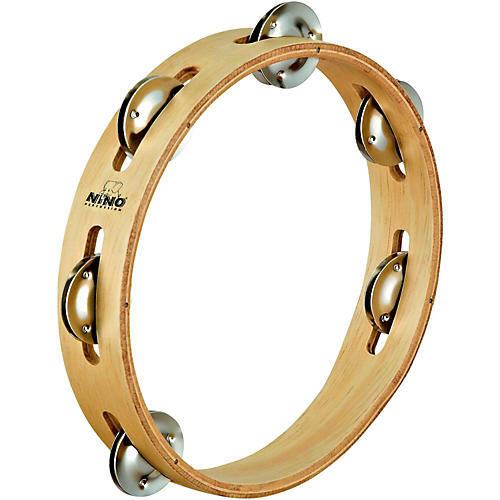 The NINO Wood Tambourines feature a sturdy wooden frame along with a nice sparkling sound. They are available in a one row construction with 6 or 8 Nickel Silver plated steel jingle pairs, or as a two row model with 16 Nickel Silver plated steel jingle pairs.